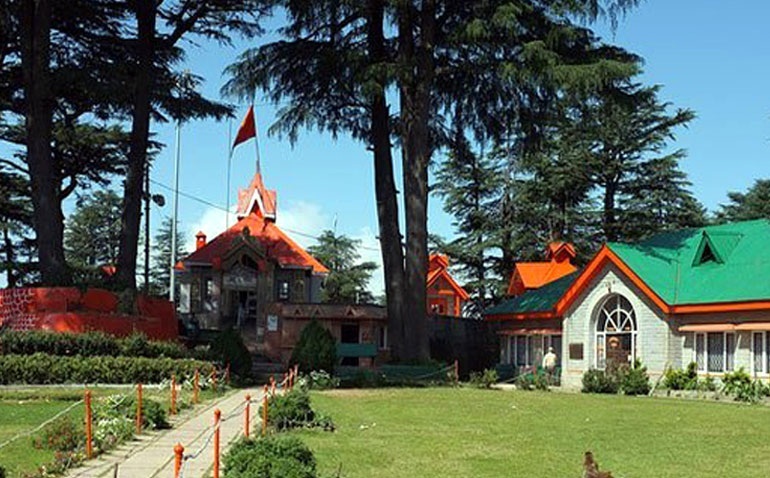 Jakhoo Temple is an ancient temple in Shimla, dedicated to Hindu deity, Hanuman.It is situated on Jakhoo Hill, 2.5 km /1.3 miles east from the Ridge, Shimla at a height of 2,455 m (8,000 feet) above sea level. Shimla's highest peak offers a panoramic view of the Shivalik Ranges and the town of Sanjauli. An ancient "Lord Hanuman" temple is there and every year a big festival is held on Dussehra. You can go to the temple by foot (a steep climb) from Ridge (path behind the church) or can hire a pony/horse. Taxis are available too.